With the beginning of the industrialization, the clock was setting the pace. Just as the wheels of a clock movement work together converting the clock pulse into motion, the working people had to adapt to the machines and work as precisely as a clock. The clock was an instrument to measure working time and efficiency. Speed and piece rates determined the daily work. Nowadays, the beat of time is even faster: We accelerate by doing several things at the same time. We talk on the telephone whilst surfing the worldwide web. Endlessly blinking displays that show us the time are chasing us through our daily routine. Time has become a short and precious resource. Doesn't in this high-speed society a wall or table clock seem like a needless relict from a long time ago? But maybe we gain time by pausing for a moment and withdrawing from the time pressure of the presence. 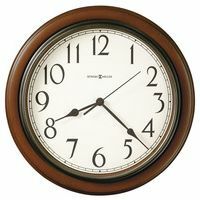 The unhurried ticking of a clock creates a homelike atmosphere that makes us relax and enjoy time again. The combination of precious materials, exclusive design and technical precision make it possible to create tasteful and elegant living accessories of a lasting value. They combine sophisticated technical knowledge with aesthetic pleasure and let us experience "Time in its most beautiful shape". A slogan which has been valid for the Kieninger clocks for 100 years now. 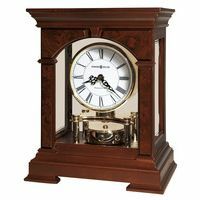 Kieninger is the eldest existing German manufacturer for mechanical clocks. 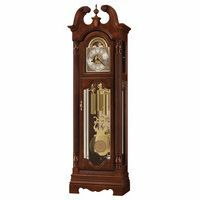 View our selection of Kieninger Grandfather Clocks, Wall Clocks, Mantel Clocks, Limited Edition, Specialty Clocks and more.